Unibet is the latest sports betting operator to strengthen its player protection initiatives by launching an age verification monitor to its English language Twitter feed. The European sports betting operator announced that its English Twitter followers would be required to enter their date of birth in order to follow the operators Twitter feed, latest news and player promotions. Unibet management have followed the same player protection initiatives undertaken by UK operators William Hill and Gala Coral, who in September announced that age verification monitors would be implemented throughout their social media channels. 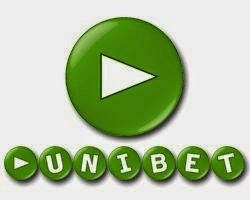 At present Unibet has over 19,000 Twitter followers on its English language twitter account. The operator has launched the new Twitter initiative to coincide with upcoming changes to UK online gambling laws, as Unibet Plc aims to promote responsible gaming and player safety measures throughout its betting operations. Unibet management confirmed the operator will monitor engagement on social media channels to ensure that the operator does not engage and communicate with under-age users.